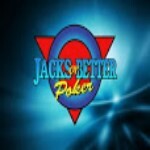 GET DEAL & PLAY NOW New customers only. 35x wagering reqs apply. T&Cs apply. For the last ten years, Mr Green has been making waves through the online gambling world. Priding themselves on the symbolic conduct of their mascot, they put their customers at the forefront of their mind, ensuring that not only will they have a lot of fun playing with them, but will also be able to do so in an honest and fair environment. While its apparent no-one will ever truly know the origins of Mr Green himself, it's obvious that he runs his casino based on the codes of chivalry and gentlemanly conduct. Their success speaks for themselves, as in the ten years since they were launched onto the Swedish market back in 2008, they have become one of the most popular online casinos in Europe and have picked up a multitude of awards along the way. This is just a small helping of their gaming menu, but it's clear to see why in such a small amount of time, Mr Green has quickly become of the most reputable sites in the online gambling world! In terms of their gaming software, this too Mr Green has in high quantity, as well as quality. 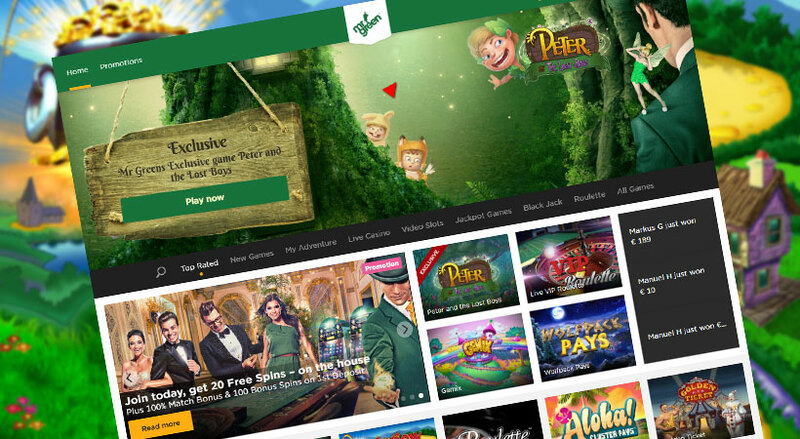 NetEnt, one of the world's leaders in quality online slots, has a heavy presence on the site with over 100 of their games available with Mr Green, customers can enjoy some of the best slots around such as Starburst and Gonzo's Quest. 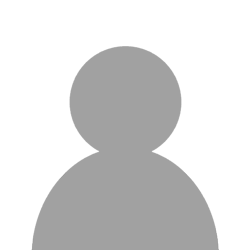 This isn't the only reputable, stand out supplier that habitats the site, as you'll also find games from Microgaming and IGT as well as many other smaller, but up and coming developers that are looking to prove their quality. Everyone loves Monopoly, it's the granddaddy of board games. 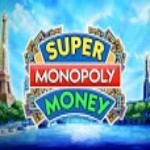 It offers players the chance to become rich in its world of chance and property management, and while you may not find the exact same traits in its casino games counter-part, you will find the same big rewards you're used to. This exciting and easy to play roulette game combines the classic roulette wheel with the big winnings of the Monopoly brand, so if luck is on your side, you've got the chance to become the real-life Mr Money Bags! 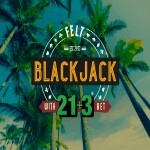 Quickly becoming the most popular blackjack variation in the online casino world, 21 + 3 blackjack is a game that combines both its namesake and three card poker. It does this by upkeeping the strategic aspect of blackjack while adding the gambling element of the three-card poker style side bet that can pay out some additional big wins for players! Once they receive their initial cards, you're given the chance to act on your hands by hitting, standing, splitting or doubling down. The overall goal is still the same, however, so you just need to accumulate a card value total closest to 21 without going over. 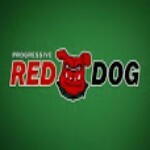 Red dog is a game of chance that you won't see in many brick and mortar casinos but has been sweeping the online casino world, quickly becoming one of its most popular games. Each player is given a hand of five cards and then they place a wager if they think they might have the highest ranking card against the dealer's card that will be turned up once the wagering is done. Whoever has the highest ranking card of the same suit as that card, will take the chips from the pot! Otherwise known as Draw Poker, this video poker game perfectly blends the excitement and tension of a real casino floor with the comfort of your own home, making it one of the most entertaining ways to experience a card game - especially one where the chance to win is so lucrative. This is a great game for those newer to the poker scene, as it includes a feature that will automatically hold onto any cards that can make up a winning hand, so you don't have to worry about missing a beat! Mr Green has not made a name for itself based on their casino games alone as they have quite the range of games for every kind of player! Their selection of slots games offers players such as classic fun like Jack and the Beanstalk, Starburst and Gonzo's Quest, as well as some lesser known examples such as Hotline, Jungle Spirit and Warlords. For fans of Bingo, there are a number of rooms just for you, and for all those of you who prefer a casino experience unlike any other, you can always go and check out the Live Casino! Many of these games also come with a play-for-free option so if you're looking to try something new, or you want to practice your skills, you can do so without having to worry about what's in your pocket! Mr Green is also a casino that's all about rewarding their players and giving them something exceptional to win for which is why you'll find many great promotions running throughout the year. You get quite the generous welcome offer to kick-start your time with them off with, as well as seasonal promotions that offer some incredibly large cash rewards! Mr Green's mobile app is one of best mobile casino experiences available to players, as it doesn't disappoint in terms of game selection and compatibility. While the main site has over 600 games available, the mobile app only falls short by about 100 so that means players still have over 500 games to play which is more than most mobile casinos out there. All of these games have been expertly developed and optimised for mobile play so you'll never get bored, or frustrated with what's on offer! While there might not be much of a community to speak of in terms of players interacting with other players, Mr Green offers some of the best customer services for any problems or queries that you might have. Not only can you call and email, but you've also got the option to live chat via their online portal so you can have your questions answered within minutes! They allow you to play games for fun, and they accept Paypal which is good for me. One of the games I was playing froze, and i lost some money I had on it. Contacted support but they couldn't see any record of a losing bet! Not very happy, as all bets should be refunded on software failure. Explore The World Of Wonders With A 5* Travel Package From Mr Green! Celebrate Ten Years of Gaming With Mr Green By Winning A VIP Trip to Russia!